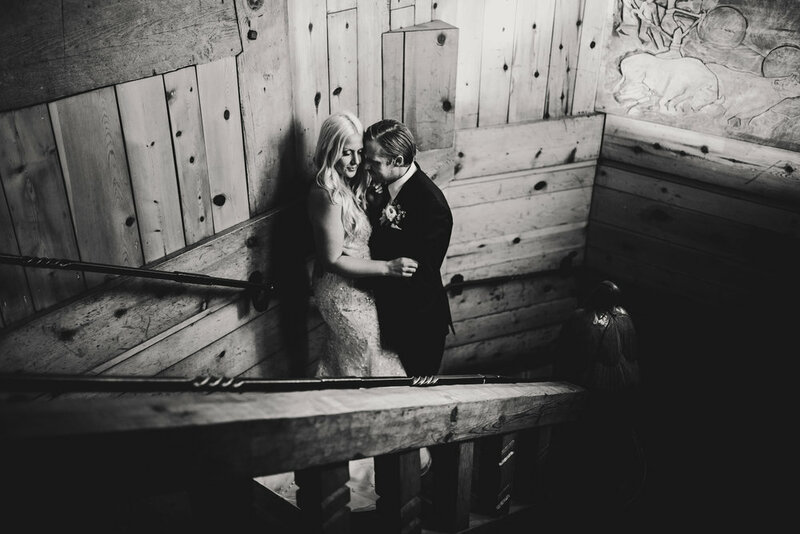 R+E's wedding was at the iconic Timberline Lodge located on the south side of Mt. Hood. R's vision included a romantic, dimly lit reception with unique details, including potted succulents which were placed at each table setting with origami hearts that opened to reveal some of the couples' favorites quotes and lyrics. My favorite part about working with R+E was how down to earth and relaxed they were on their wedding day. They entered the day just wanting to have fun with each other and their friends - and they did just that! Here are some highlights from their day at the Lodge - be sure to check out all of the overflowing blush roses and the back of R's dress that she had custom-tailored to fit her style. Their love of the mountains and each other was captured by Kyle Carnes Photography (kylecarnesphotography.com).